Dr. Mansour joined the Auburn University College of Veterinary Medicine in 2006. He received his Ph.D. from the University of Liverpool in the United Kingdom (1990) and his DVM from the University of Khartoum, Sudan (1983). Dr. Mansour received post-doctoral training at Michigan State University where he was a recipient of Fulbright Scholarship (1995). He also received a research training course at the WHO headquarters in Geneva, Switzerland (1993). 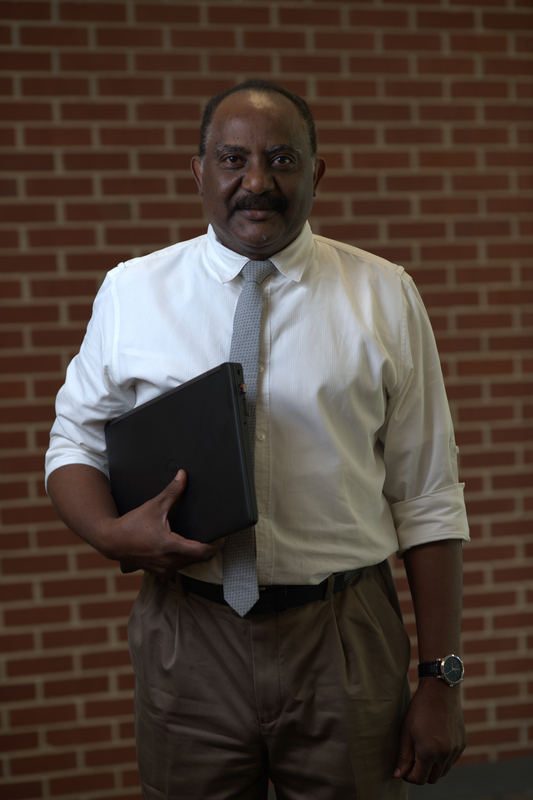 Dr. Mansour was a member of the faculty at Tuskegee University for several years before joining the faculty at Auburn University. Currently, Dr. Mansour and a team of investigators are studying the effects of select metabolic and toxic disorders on reproductive function in male subjects. Techniques utilized in the laboratory include RNA extraction, conventional end-point and real-time PCR, Western Blotting, and Immunohistochemistry. VMED 5111 Veterinary Anatomy I (4 credit hrs – Fall Semester). This course provides students with broad and solid foundation to mammalian anatomy. This team taught course offers comprehensive details of the anatomy of dog and cat. The course provides the clinical foundation for surgery and medicine of small animals as well as the basis for comparative anatomy of large animals taught in the spring. The students dissect their own cadavers under faculty supervision. Dissection cadavers are complemented by radiographs, models, prosections, fresh specimens and plastinated specimens. VMED 5121 Veterinary Anatomy II (3 credit hrs – Spring Semester). Dr. Mansour coordinates this team taught course in the spring. The course teaches anatomy of horses, ruminants, swine, and birds. The course offer hands-on dissection of fresh specimens (horse legs and birds) and demonstration of prosected specimens by the faculty. The laboratories are augmented by lectures and clinical presentations of applied anatomy. The course emphasizes structural-functional and clinical correlations that are important in large animal practice. The labs are supplemented by normal radiograph, skeletal materials, anatomical models, and live horse palpation.